With December fast approaching, it's the time of year that we traditionally recommend some speedway related paraphernalia to top up those Christmas stockings. If you're looking for something in the £16 range then either one of these DVDs from Retro-Speedway would be an ideal candidate. 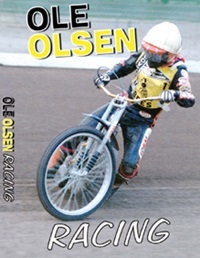 Ole Olsen Racing and Michael Lee Racing are four hour DVD boxsets that highlight the brilliance of these two men aboard a speedway machine. Between them they captured four world titles between 1971 and 1980 - Olsen in 71, 75 and 78; Lee taking his solitary win in 1980. Both productions follow the familiar pattern of these "..... Racing" DVDs that Retro have produced over the last year or so. A chronological spin through the careers of the gents in question, including the best and most significant races of their careers. Michael in action for his first team, as Peterborough and Ellesmere Port take on Michael and the rest of the Boston Barracudas. Michael riding for King's Lynn against Belle Vue, with marvellous footage of the pre-meeting preparations in the pits. Film from his first World Final appearance in 1977, including that memorable heat 18 where nervousness at the tapes reached new heights. Local news reports from the Anglia region as he prepares to ride in the 1978 final in the shadows of the Twin Towers of Wembley. 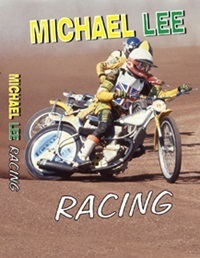 Longtrack action, a discipline to which Michael was arguably even more suited than traditional speedway. Keith Chegwin getting a lesson in speedway racing from Michael for the popular Swap Shop tv programme. "Cheggers" optimistically asks Michael how long it would take for him to reach the same standard. His World Title win in 1980 obviously features prominently, along with numerous appearances for his country in test matches and world championship events. Sadly, the DVD also has to reflect the sudden and dramatic fall from grace in the years following his world final win. The film from the infamous England v USA test match, one of the first to enforce the new tape-touching regulation, is extraordinary to watch. It's entirely obvious that Michael's head was "not in the game" at all. The final piece of film is from a 1986 King's Lynn visit to Wolves, in one of Michael's many abortive comeback attempts. The old class was still evident, but despite his comparative youth, the spark had gone out. World Final footage from his appearances (and wins) on the biggest stage of all. Film from various different stagings of the Yorkshire TV trophy at Hull, including his 1977 win with an imperious fifteen point maximum. Some nice moments between Ole and his mentor Ivan Mauger, often being the first to congratulate each other on their biggest wins. Difficult track conditions in both the 1975 and 1977 world finals, not something we often associate with the big nights of years gone by. "God Save the Queen" playing in the background in the 1976 final to mark Peter Collins' win, while Ole rants to an interviewer in the foreground. Ole and Gordon Kennett continuing to battle hard during the 1978 final, ignoring the fallen Ivan Mauger lying next to the safety fence. Peter Adams' occasional appearances by Ole's side, reminding us that the Wolves boss has been helping riders to world championships for five decades. Ole threatening to pull out of the Spring Classic at Wimbledon as the other riders object to his interpretation of the tyre rules. Footage of Ole leading his beloved Coventry Bees in action at the likes of Birmingham, Leicester and Reading. Ole admitting he was retiring because he'd lost the desperate "will to win" that had driven him earlier in his career. Film from his farewell meeting at Brandon, including stepping to the top of the rostrum for one last time (despite not actually winning the meeting). Ole cutting a dash on the Danish version of Strictly Come Dancing, a sign of how strong a legacy he left in his homeland. Either (or both) of these DVDs would be an ideal Xmas present, or simply an addition to your own collection of speedway memorabilia. If these don't take your fancy, then browse our DVD section to see which other ones we've reviewed over the years, these should all still be available. Either that, or head on over to the Retro-Speedway website, where you'll find new books on Dave Morton and John Louis amongst their recent offerings.